James is a writer, geographer, teacher, and seasoned adventurer with a particular passion for silent craft and the North. James is a prolific writer, speaker, cultural geographer, and tireless advocate for the Canadian Canoe Museum in Peterborough, Ontario. He has produced twenty books and written for film, radio, and media outlets including Canadian Geographic, National Geographic, Explore, The Globe and Mail, as well as for CBC and The Discovery Channel. James is a Fellow International of the Explorers Club, a Past Chair of the Arctic Institute of North America, as well as a Fellow and Past Governor of the Royal Canadian Geographical Society, for which he was awarded the Camsell Medal and the Queen’s Golden and Diamond Jubilee Medals. In 2017, he was awarded Canada’s Sesquicentennial Medal and the Meritorious Service Medal from Governor General Julie Payette for continued commitment to the building of Canada through national service. 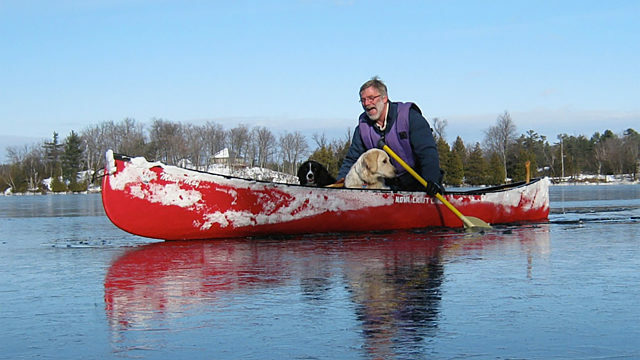 As an inveterate all-season adventurer and experiential educator, James has led expeditions throughout Canada and around the world by snowshoe, dogsled, bicycle, ski, snowmobile, kayak, Peterhead, nuclear-powered icebreaker (to the North Pole) and by canoe—most recently as the instigator of Connected by Canoe, an expedition to demonstrate the canoe as a vessel of reconciliation. James is an interdisciplinarian and storyteller through and through and knows a little bit about a lot of things. And if he’s not driving a Zodiac, circling the midnight sun, giving presentations at sea or workshops on the land, serving as a bear guard, or stalking the wild Arctic asparagus, he’s likely to be singing his heart out and wailing away on his guitar with any other musicians who happen to be near the bar.